Running Press Miniature Editions, 9780762492794, 88pp. Everyday Tarot brings a new perspective to the cards, giving modern soul-seekers the tools they need to access their inner wisdom and create an inspired life. 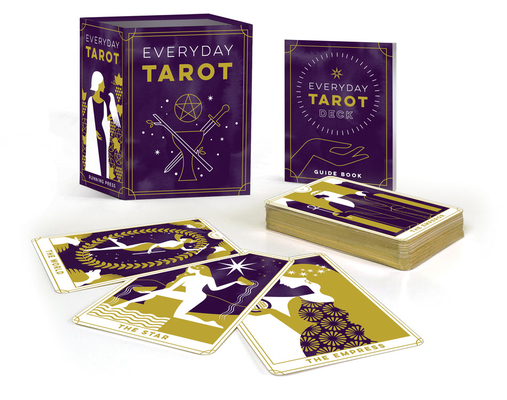 This charming package, featuring stunning cards and a magnetic closure, will appeal to Tarot veterans and novices alike! A 78-card Tarot deck, with fully-illustrated, 2.5 X 3.5-inch cards. An 88-page mini book, with card meanings and sample spreads. A magnetic-closure keepsake box for card storage. Brigit Esselmont is one of the world's best-known and most beloved Tarot readers and teachers. She has grown Biddy Tarot into a global enterprise, with a website, podcast, and newsletter. She regularly teaches and inspires millions of Tarot lovers, influencing them to live a more mindful and enlightened life with Tarot as their guide. She lives in Sunshine Coast, Queensland, Australia with her husband and two daughters.